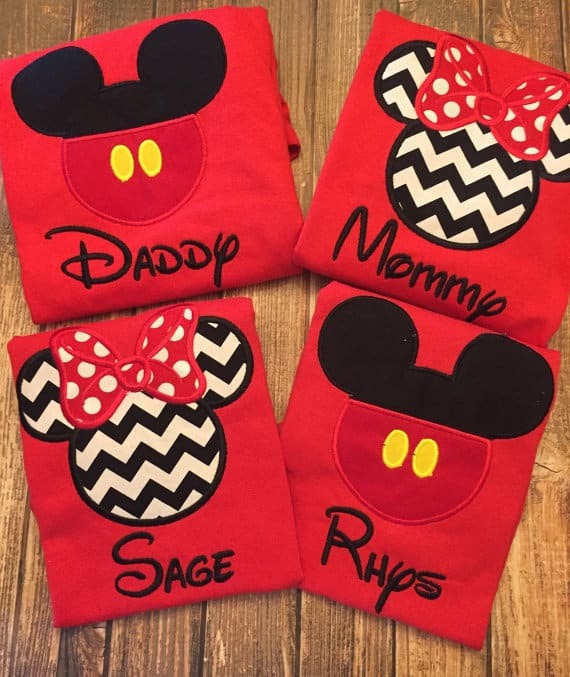 These family Disney shirt ideas are ADORABLE and MATCHING too! You’ll definitely stand out from the crowd in these Tshirts and they’re perfect for a family reunion too! 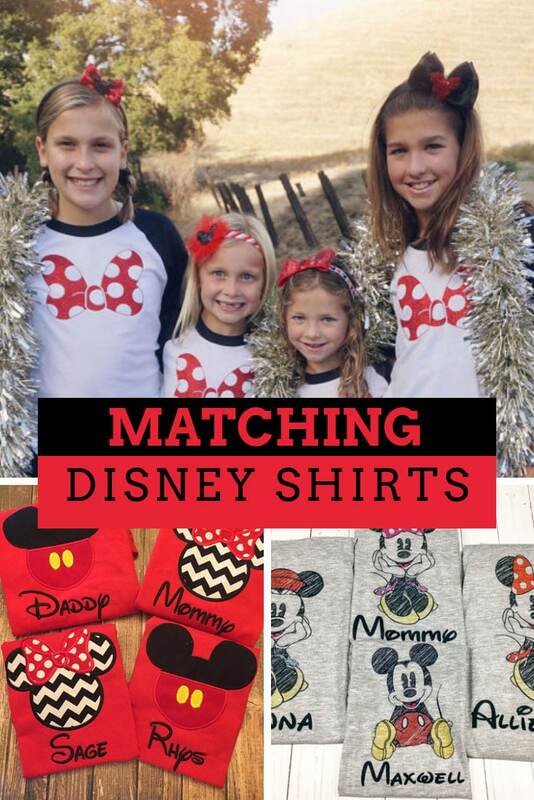 Whether you’re travelling as a couple, parents with kids or having a family reunion, wearing matching Disney shirts is a great way to have a co-ordinated look to your vacation photos. 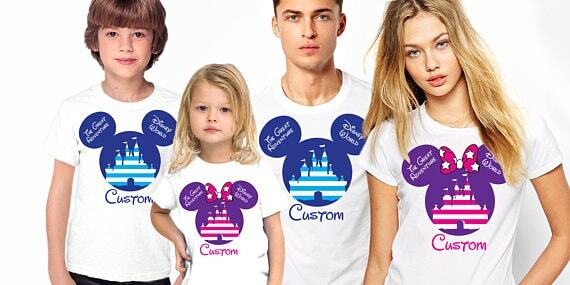 We have also seen large family groups wearing matching custom shirts get extra pixie dust from cast members and characters! Before we had kids I used to spend hours designing custom Disney shirts for me and my husband to wear on our trip. 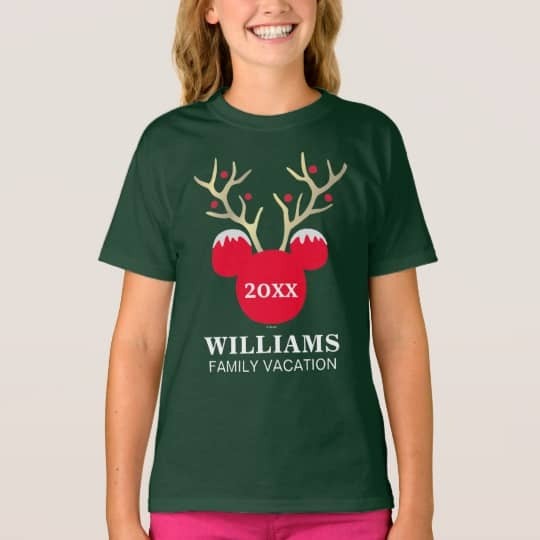 Ironically these days now we’re vacationing with our kids I just don’t have time to make them so I’ve been searching for matching Disney shirt ideas over at Etsy and Zazzle to buy instead. I thought I’d share some of my favourite Disney family vacation shirts with you today! These applique shirts are adorable and will totally stand out in the crowd if you’re looking for extra pixie dust from cast members and characters! We love this design because as well as each person’s name you can also add your family name to the shirt. You can even get the design printed on a onesie! 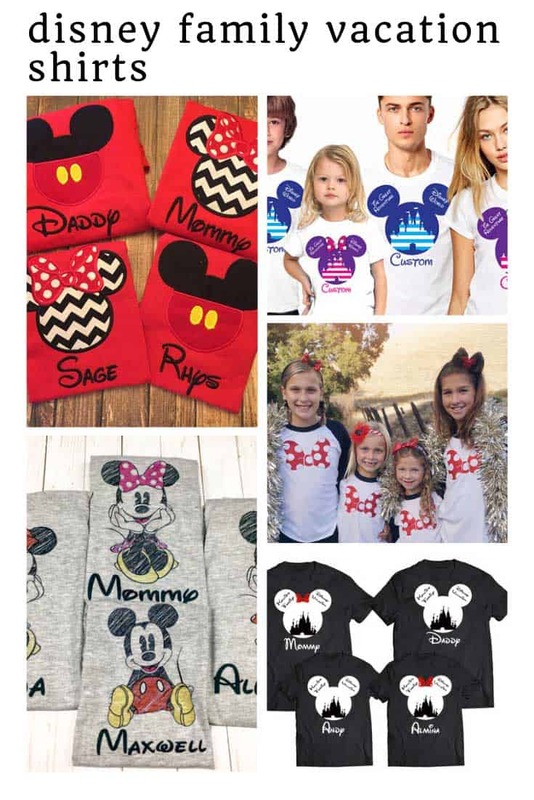 For official custom Disney shirts featuring all your favorite characters you have to hop on over to Zazzle. They have cute Minnie (and matching Mickey) shirts like this and lots more! 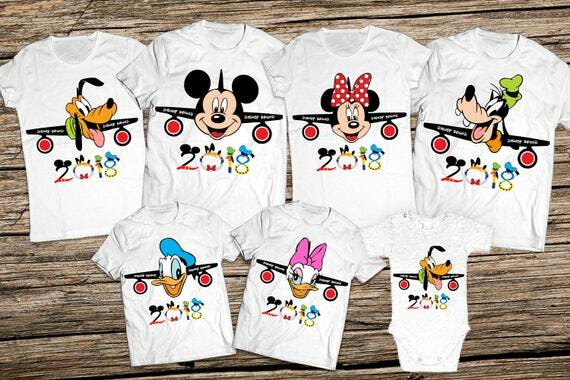 If you are flying into Orlando then this is the perfect 2018 matching family shirt set for you. How cute are those characters turned into aeroplanes! These are cute matching Disney shirts, we like how you can mix and match the colours and that striped castle image is really striking! 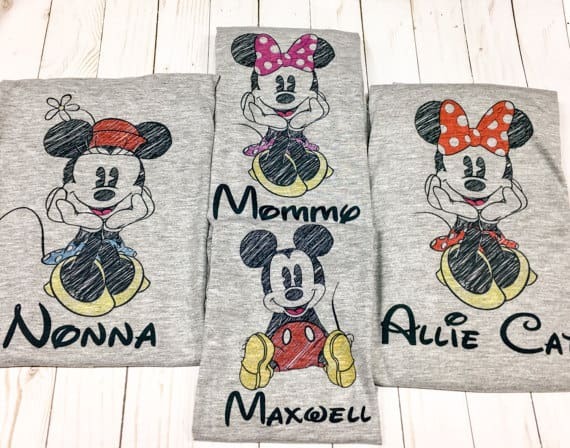 If you want images of Mickey and Minnie on your family shirts then this is a really cute design! Here’s a cute idea for a matching shirt set if you’re not keen on including your family’s names on the shirts. 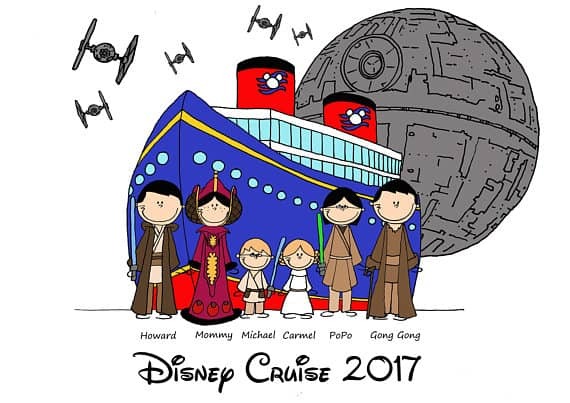 Jeni Made It has lots of really cute designs including this one for Star Wars fans going on a Disney cruise. She also has a Cinderella Castle design and if you’re thinking about visiting Universal a Harry Potter design too! 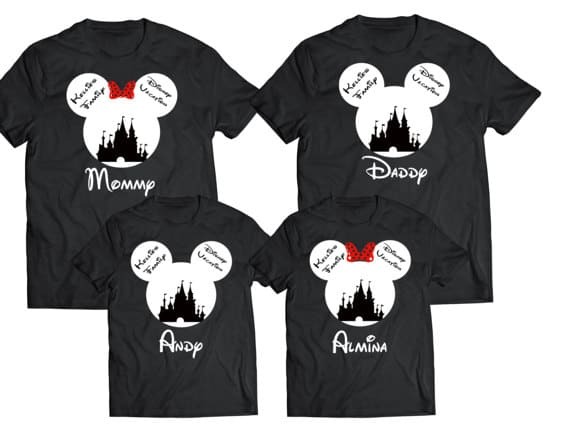 Don’t miss these Disney family shirts star wars fans will love! 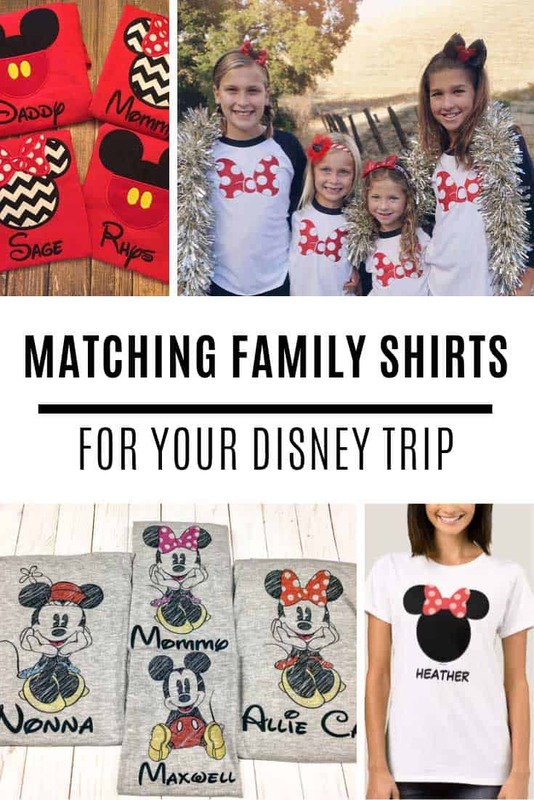 If you’re heading to Disney World over the Holidays this is the perfect custom Disney family shirt for your party because it’s totally festive! 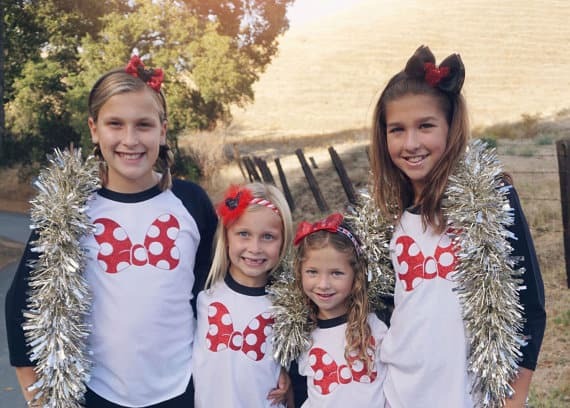 Don’t miss our collection of Disney Christmas family shirts!